Folks ask me all the time, “Where can I get a list for my direct mail”? Depending on the group of motivated sellers you are targeting, you will be able to find targeted lists at most of the major list sources. Some lists like probates are not generally found at the big list companies. There are several companies specialize in probate lists, but they often come at a hefty price of around a $1.50 a name. The problem I found with these probate leads is that that in some cases the companies are actually getting their leads from obituaries which I don't advise anyone to do. Imagine for a minute that you get a letter or a call around the time you just buried your loved one. How would that feel? The other problem with some of the probate companies is that they don't have all of the information you need like the contact information for the executor or the “decision maker”. They will try to pass this off as being a fresher lead and will often tell you that lead is so new they haven't had time to get that particular piece of information. To be successful at probate investing you need the contact information for the executor or administrator of the estate, but that is a discussion for another day. 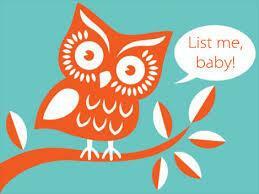 I have used Listsource and one nice thing about this company is that you can build your own list. I haven't used this company, but I know folks that have. I haven't needed a subscription service to date but would use them. Their pricing is great if you need monthly lists. Real Supermarket: Absentee and landlord lists start at .08. Contact them for other lists and pricing. I have personally worked with Atchut Neelam at this company and found their service to be great. They also offer free samples and will give you a count for a specific list. The list provider you choose may be determined by your specific needs. For instance; if you use a list for a longer period of time such as an absentee owner list you might choose a non-subscription list provider. However if you want new data each month then a subscription model might be very cost effective. In the end, the main thing is to get your list and get started. There is gold in your direct mail campaigns. If you're not already subscribed to the “Inner Circle”, be sure to do that today so you don’t miss any of the business building tips I have coming your way. I want this year to be your best year ever! And if you enjoyed this article, please share it. Have you had any experience with Click2Mail’s list? I’ve used their mailing service but never realized they offered mailing leads until just recently, def plan on testing them out. I only tried them once, but I like the postcards from YellowLetters.com better. They also do all of the mailing for about $30 extra. When Sharon Vornholt talks about direct mail, I listen! 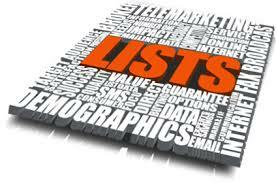 We use Listsource.com for general lists – owner occupants & absentees. Their data quality is very good. CoreLogic is probably the biggest data provider to the real estate and mortgage industries. For probates, we used Real Supermarket (Atchut) as well as U.S. Probate Leads. The U.S. Probate Leads data is cleaner and easier to work with; quality is probably higher due to their data collection processes here in the U.S. The Real Supermarket data is less expensive and Atchut is a great remote data collector (he’s based in India; very easy to work with, takes payment via Paypal…). It’s nice to get your input. Like you I have used several different companies. They all have their strengths and weaknesses. I think it’s good to have options. Thanks for your comments.